Two of our Didcot customers are enjoying the sweet smell of success after their efforts have been recognised in two separate awards schemes. If you're looking to work alongside inspirational businesses, consider our Didcot Enterprise Centre, where two of our customers are celebrating the sweet smell of success after being recognised in separate awards schemes. 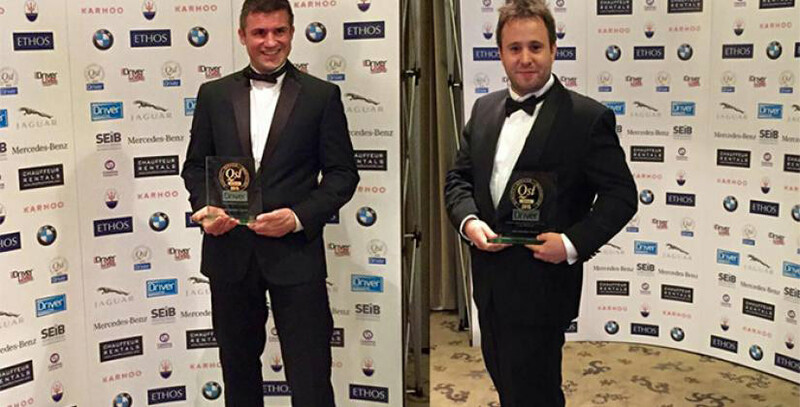 Go Green Taxis won Private Hire Company of the Year (1-80 cars) at the national Pro Driver QSI awards. The business aims to offer a green taxi service by working hard to reduce their carbon emissions and using environmentally-friendly and efficient vehicles. The firm, which was started in October 2009 by Mike Hatter and Mark John, also received the bronze award – the equivalent of third place – in the environment category of the Pro Driver QSI Awards. The judges highlighted the company’s exceptional quality, service and innovation. Our second Didcot business that has been praised is The Caring Company, which provides domiciliary care services to people in their own home. The company has been a customer at our business centre for seven years and now has 35 staff, but it was originally run by founder Maureen Walker in her own home with a team of just two carers. The way the family-run business has naturally grown saw it nominated for the best established business award at Didcot First’s Business and Community Awards. Although it didn’t win the top prize, it made it onto a shortlist of three businesses. The Caring Company was created by Maureen in 2007 and at first she ran the business from her own home. Tracy, who is Maureen’s daughter, explains: “After six months, she asked me and my sister (Manager Marie Newman) to get involved and we took on a few more carers. The business started to expand and after about a year, we moved into the Didcot Enterprise Centre. We were looking for reasonably priced premises. We didn’t know how big we were going to get so we needed something cheap and local where we could all work together. The company started off renting one room from Bizspace before taking on a training room. The business then rented an additional office before finally moving into a larger unit at the centre last year. The Caring Company provides all the services older or disabled people in Didcot and the surrounding area need to remain living independently in their own home. These include providing personal care, cleaning and meals as well as bringing people their shopping and taking them out of the house. Sometimes staff will simply sit and talk to a client to keep them company during the day. Our Didcot Enterprise Centre has a varied mix of customers who occupy a range of units, including offices, studios, industrial units and workshops. Businesses can also rent mailboxes or a meeting room. Free on-site car parking facilities are available and the centre is protected by 24-hour CCTV. To find out more, contact Lesley Tyler on 01235 510 904.